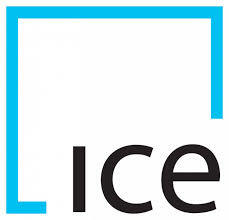 New York Stock Exchange owner, Intercontinental Exchange (ICE), says it may make a rival bid for London Stock Exchange (LSE) – setting up a potential takeover battle with Deutsche Börse. ICE says an approach on the LSE hasn’t been made yet, but the speculation lifted LSE shares to a record high today (1 March 2016). Last week, Deutsche Börse and LSE confirmed they were in “detailed” discussions about a potential “merger of equals” of the two businesses. That announcement saw shares in the LSE and Deutsche Börse rise 17% and 7% respectively. The Anglo-German deal could create a European trading powerhouse to match ICE, which has carved itself a large slice of Europe’s derivatives market since it bought NYSE Euronext in 2013. Deutsche Börse shareholders would hold 54.4%, and LSE shareholders would hold 45.6% of the enlarged issued and to be issued share capital of the combined group. If ICE intervenes it could force Deutsche Börse to offer a bigger premium. Deutsche Börse says it has seen ICE’s statement but replied it was not looking to change its proposed offer. LSE says it has not received any proposal from ICE. “The company is continuing its merger talks with LSE with no change,” Deutsche Börse says in a statement. European exchange groups in London and Frankfurt have announced changes in their technology leadership, with the announcement of a new group chief information officer at the London Stock Exchange and a restructuring of responsibilities at Deutsche Börse.